Monica Awunkwu Agaji is a Nigerian from Cross River State and was born in Umuahia, Abia State. She has spent her life in the South East, South South and Northern part of the Nigeria. A graduate of Human Resource Management from Ghana Institute of Management and Public Administration Accra Ghana. I am a fashion designer. Before now Monica has not been so proud of her body/stature. Back in primary and secondary school she was always body shamed and often being called the mother and grandmother of the school, most times mistaken as her mother's sister which made her cry and feel bad. 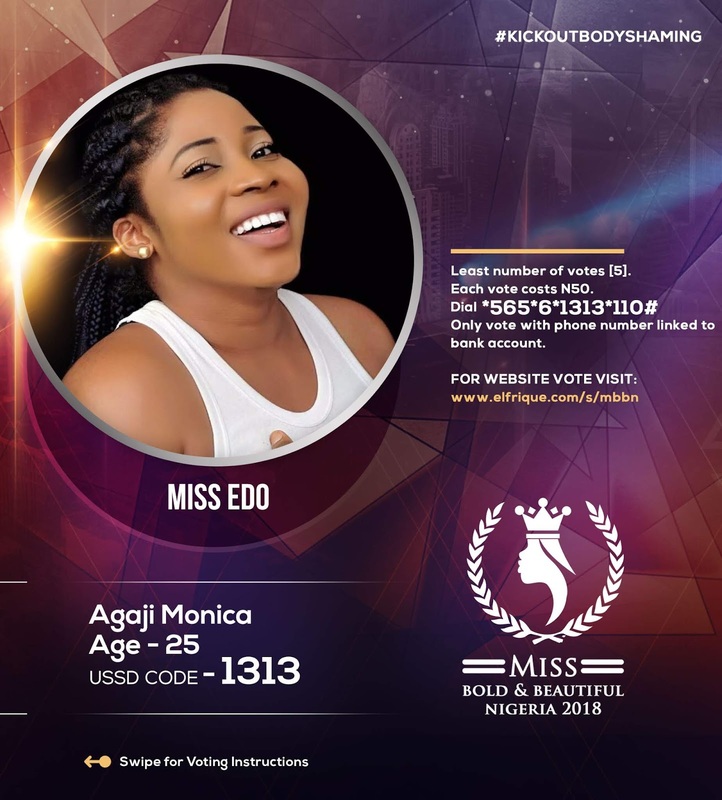 Monica decided to join MISS BOLD AND BEAUTIFUL NIGERIA because it is a platform that makes the plus size ladies in Nigeria embrace their sizes and at the same time feel beautiful and proud in it. If she wins the crown, she knows it is a great privilege that has been given to her as a queen, so she intend to create a platform or awareness for people of plus sizes, help them embrace and be proud of their body and not feel discriminated or body shamed and let them know they are beautiful just the way they are irrespective of where they find their selves.